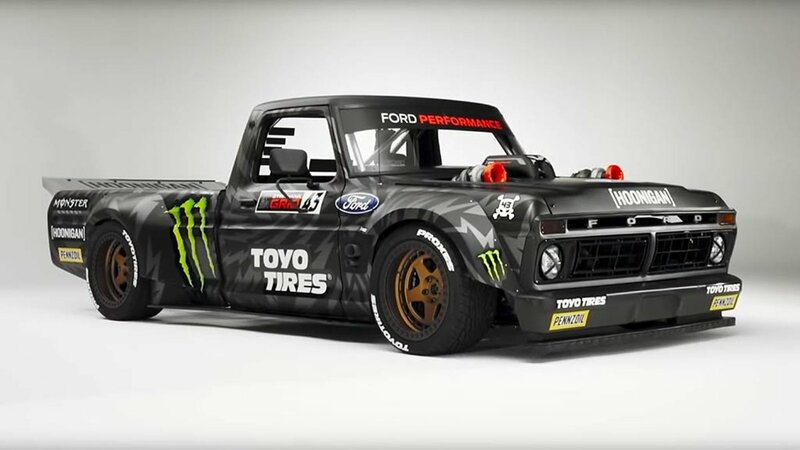 Ken Block is well-known for his successes in the world of rally racing and his legendary Gymkhana videos, with Gymkhana Ten featuring a 1977 Ford F-150 that is another in a long line of truly incredible performance machines. When planning Gymkhana Ten, Block wanted to introduce a new vehicle and after relying on a variety of different cars for all of his earlier videos, the original Hoonigan picked a 1977 Ford F-150. Block learned to drive and to do burnouts in his dad’s old Ford truck, so he jumped at the opportunity to build a monstrous F-150 for Gymkhana Ten. Unlike the Hoonicorn Mustang that relies on a NASCAR V8 engine the Hoonitruck features the 3.5-liter EcoBoost V6 from the modern Ford GT supercar, but he needed more power. To achieve that extra oomph, Block’s team added a custom twin turbo setup, but to complete the build, they were missing one key piece of the puzzle. There was no intake manifold on the market that provided the flow needed to move all of the air intake the engine for a Ford EcoBoost engine. The team could have had a piece welded together, but instead, Ford stepped in to offer some help with their access the 3D printing technology. “We are fortunate to have access to incredible technology, but this was one project that pushed us – and our computing power – to the absolute limit. The manifold has a complex web like structure that couldn’t be made using traditional manufacturing methods. We ended up dissolving the support systems in acid,” said Raphael Koch, engineer, Advanced Materials and Processes, Ford of Europe. Ford of Europe has an elaborate 3D printed facility in Germany and it was that location where the one-off intake manifold for this F-150 was produced. In just five days, the crews worked together to design and produce the unique intake for the Hoonitruck, allowing it to produce more than 900 horsepower. More importantly for this discussion, this unique intake manifold is the biggest piece ever produced with 3D metal printing for a working, driving vehicle. Check out the video below for a look at the Hoonitruck F-150 intake coming to life, illustrating how quickly 3D printing is becoming a key part of the automotive world.